To view properties of some existing scenario, click this scenario in the scenario list. LoadNinja simulates every virtual user several times during the run. If some user completes their web test, LoadNinja starts the next iteration of that virtual user. Duration-based means LoadNinja simulates virtual users for the specified period of time. 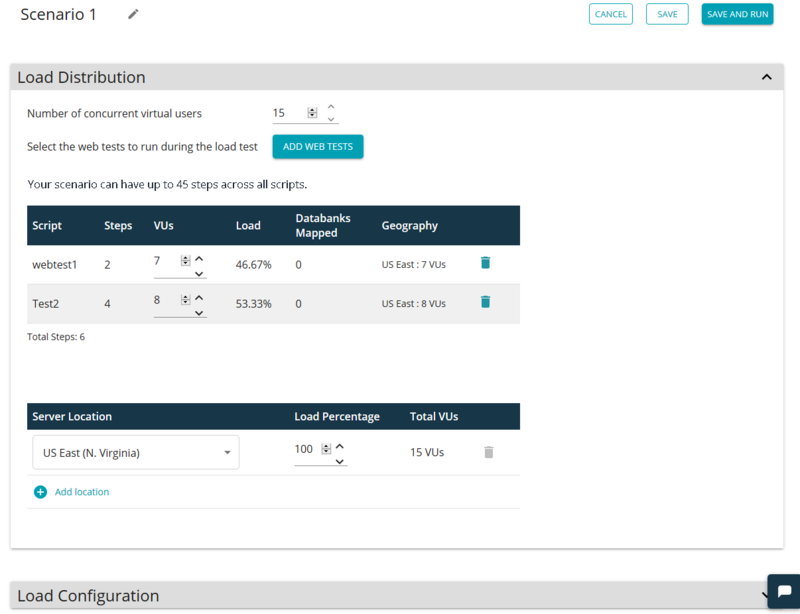 If some virtual user completes its web test, LoadNinja starts the next iteration of that user simulating the same web test. The number of iterations is not limited. If the test time elapses, LoadNinja doesn’t start new iterations anymore. Iteration-based means LoadNinja simulates each virtual user for the specified number of times. For more information on load types and other parameters, see Load Configuration Settings. Go to Projects and click your project there. In the project editor, switch to the Scenarios tab and click Create Scenario. This will open the scenario editor. At the editor’s top, click to rename the scenario. Specify a new name and press Enter. Configure scenario settings as needed. Click Save to save the scenario and to return to Projects. Tip: Use the search box to filter the scenario list. It allows searching for a specific character in a scenario name or for a specific date. Edit scenario settings in the scenario editor as needed. To run a load test based on a scenario, go to Projects > Scenarios, locate the needed scenario in the list and click Run on the right. Tip: Use the search box to filter the scenario list. You can enter any part of the scenario name or date. Go to Projects and click your project in the list. In the project editor, switch to the Scenarios tab. Find the needed scenario and select a check box on the left of it. Select the check boxes of other scenarios to be deleted. Tip: Use the search box to filter the scenario list. You can enter any part of the scenario name or of the Last Opened value. Click Delete (this button appears above the list after you select the check box). Confirm the deletion in the subsequent message box.